The ultimate scoop on this mouse of mystery. His secrets, his triumphs, his smelliest cheese. 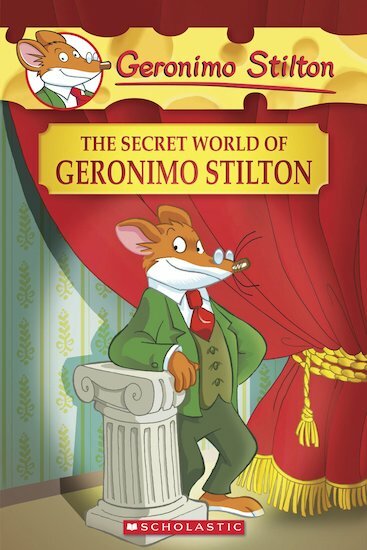 Geronimo Stilton might have a very public personality, but he also has a secret side. Peek down the mousehole of this globe-trotting rodent’s hidden life, sniffing out whisker-lickin’ thrills along the way. Discover fun facts about Geronimo’s jet-setting lifestyle, heart-stopping antics and well-stocked larder. The secrets of the Stilton clan uncovered for the first time. Holey cheese! Your favourite rodent reveals all.